Walkers heading out to the Peak District and South Pennines can now take their own personal guide. Four audio trails can be downloaded to provide a virtual guide to walks in the moorland landscape. The digital files can be downloaded free to smartphones and MP3 players or computers and are accompanied by route maps that show where to stop and listen. The audio trails, which have been produced by the MoorLIFE project, can be used for self-guided walks and have facts about the history of the area, wildlife to look out for and the vital conservation that has been completed on the moorlands. There are two Peak District guides with tours of Black Hill and Bleaklow, and two more South Pennine trails at Rishworth Common and Turley Holes, just south of Hebden Bridge in West Yorkshire. Debra Wilson, MoorLIFE communications officer, said: “These four trails are a fantastic way of getting close to some of the UK’s most dramatic landscapes along the Pennine Way, where conservation works to protect 2,500ha [6,176 acres] of moorland has just completed – and of learning how essential these uplands are. 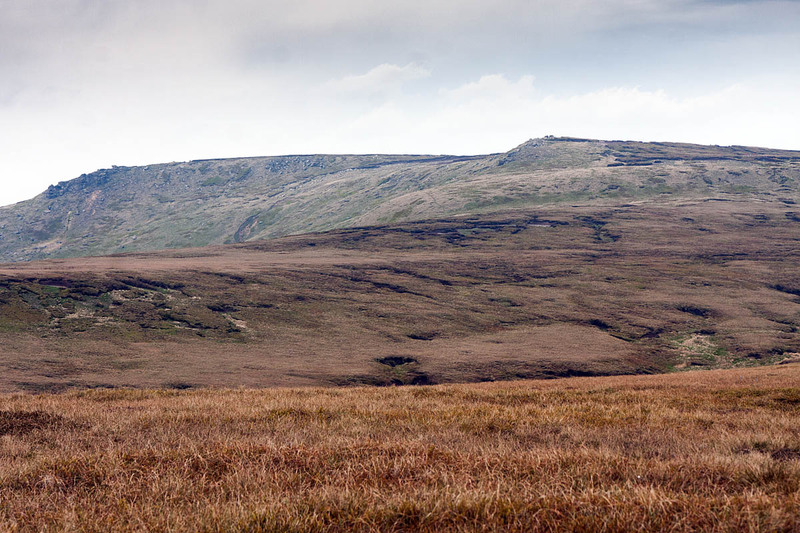 MoorLIFE said all four routes include sections of the Pennine Way, making them an excellent way to explore parts of Britain’s first national trail a few hours at a time and take in some of the locations where major landscape restoration has taken place. The nine-mile (14.5km) Black Hill route takes walkers past Laddow Rocks where they can discover flora and fauna and listen to examples of birdsong. The Bleaklow trail takes in Torside Castle and Bleaklow Head, with lively historical background about the construction of the Woodhead railway line and tunnel and their effect on the landscape. The Turley Holes audio trail narrates an eight-mile (13km) walk around environmentally protected Yorkshire moorland. Interviews with a local ranger explain why the area is prized for its water, piped into our taps and factories, but also used to top up canals and even as a wartime defence, with barges lined up to stop sea-planes landing. The Rishworth Common audio trail covers a seven-mile (11km) walk around the wild open expanses near Ripponden, West Yorkshire, where walkers can find isolation despite the M62 between Lancashire and Yorkshire running nearby. Interviews with a local artist, a ranger and a conservation expert detail the importance of this area, past and present. The four trails add to Moors for the Future’s growing family of countryside guides. Some are short and easy-going, others more challenging, covering sites from Black Hill to Win Hill, Bleaklow, Edale, Surprise View, Hathersage, Stanton Moor, Kinder Scout, and more. All 17 audio trails are downloadable via the Moors for the Future Partnership website.